Eight years after immigrating to the United States, German-born Lukas Ley embodies the American dream: successful athlete, gorgeous girlfriend, loving family. But beneath the surface, eighteen-year-old Lukas is driven by ambition, resolved to avenge the murder of his father at the hands of the Nazi regime. Unfortunately, a failed physical throws his plans for flight school off course. Unlike his war-hero older brother, Lukas’s purpose is unclear. He can’t fly, and in the eyes of the military, he’s good for only one thing—the front lines. 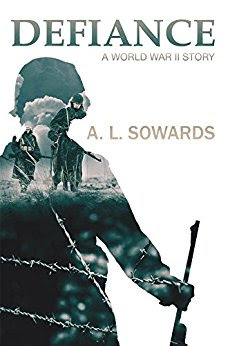 From the foxholes of war-ravaged Luxembourg to the devastation of an enormous German offensive, Lukas’s journey is fraught with peril. But when he’s taken as a prisoner of war, he realizes life is about to get much worse. In the enemy camp, Lukas is viewed as a German fighting for the wrong side. Ripped from the innocence of an idealistic youth, he becomes a man beaten by the horrors of war. Now his only hope of survival is to hold tightly to his faith in God and his love of family and home. But even if he manages to make it out alive, can he ever be whole again? Cookbooks for FREE-- YES, PLEASE!